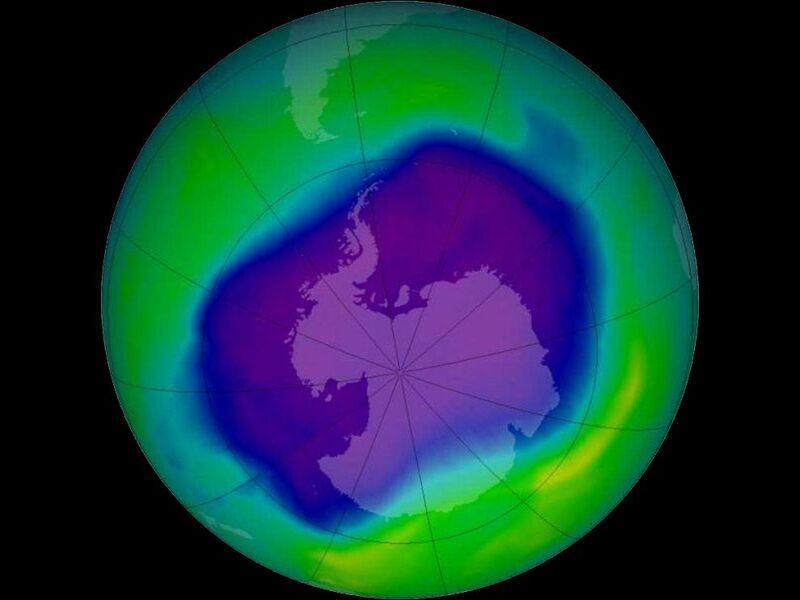 This false-color image displays the largest Antarctic ozone "hole" ever recorded on September 24, 2006. On March 22, 1985, countries that belonged to the United Nations agreed to pass the Vienna Convention for the Protection of the Ozone Layer. Encyclopedic entry. We live at the bottom of an invisible ocean called the atmosphere, a layer of gases surrounding our planet. Nitrogen and oxygen account for 99 percent of the gases in dry air, with argon, carbon dioxide, helium, neon, and other gases making up minute portions.